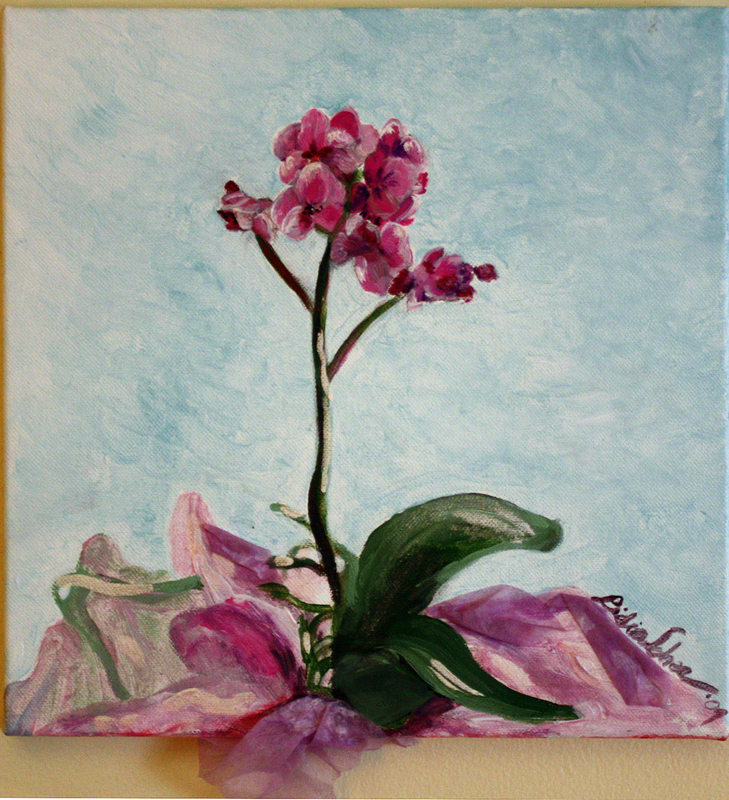 This is a contemporary depiction of an orchid, the symbol of peace.The orchid is a flower of magnificence bringing a universal message of love, beauty, wisdom, thoughtfulness, luxury & strength. In China it signifies refinement, and innocence. A pink orchid conveys pure affection. This is a collage with acrylic paint on canvas and fabric applique.